Honor designer Giovanna Randall stole the show at New York Fashion Week with her retro 60's glamour and windblown moments, (a la Marilyn Monroe) that pretty much left everyone enamored. The collection was simple and lady-like with precious cupcake dresses and delicate touches. Given that she's a fairly new designer--I can't wait to see what else she has in store. 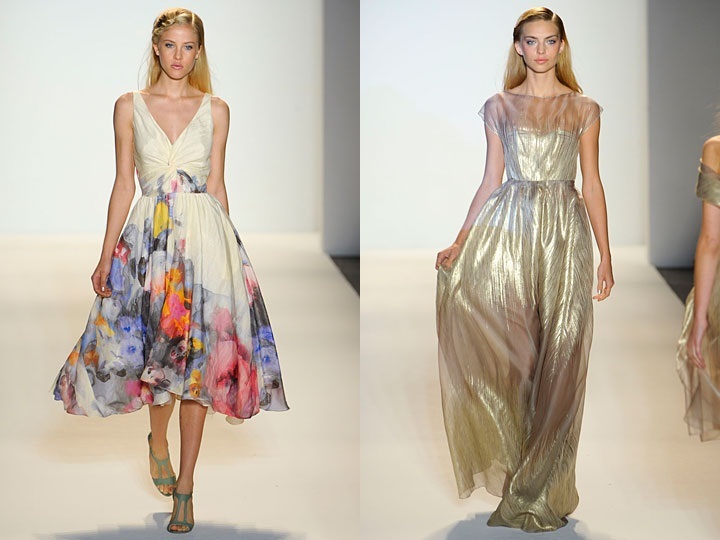 Lela Rose not only stood out for her stellar collection but her touching tribute to 9/11. Her show started off with John Lennon's Imagine playing in the dark while the audience sang along. Once the models hit the runway--it was all fashion from there, as she showed a polished yet fun collection that drew inspiration from "Vegas and Coney Island in the 50's"
Cynthia Rowley showed off her funky artsy side with a wickedly cool runway and splashes of abstract watercolors which she dubbed "flash mobs of floral and animated shapes." What do you think of these 3 collections? You like/don't like? Share your thoughts! I really like this collection! Definitely fun and flirty. WOW! that iridescent, gold Lela Rose dress is stunning! love this round-up! 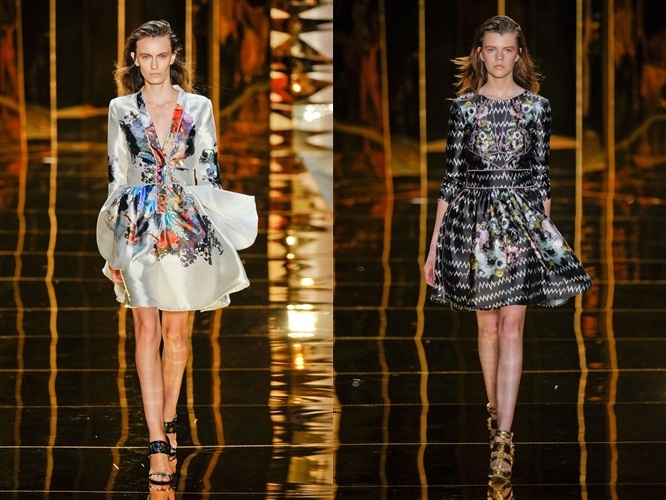 I'm in love with the cut of the skirts in Cynthia Rowley's collection! The movement is fabulous! Agreed. These looks are pretty, fashionable and WEARABLE. OH YES!!! Love them!!! So refreshing to see that Fashion Week has not completely forgotten us "normal" women! Oh, I love that first collection! So pretty & ballerina-ish!